Is this the world's most expensive chocolate? In the pantheon of fine chocolates, there's the gourmet boxes, the handmade bonbons and now there's a $260 handcrafted bar that you eat with wooden tongs. That's right. $260 for a single bar. "We've done our own investigating and we think it is," said To'ak Chocolate co-founder Jerry Toth. He's unapologetic about the hefty price tag. "It's not for everybody,' he said. "Even the box that the bar comes in is a piece of art." To'ak, means "earth" and "tree" in a fusion of ancient Ecuadorian dialects, said Toth, who co-founded the company in 2013. Operations are split between Chicago and Quito, Ecuador's capital, which Toth said is ideal for making chocolate because of its low level of humidity. Toth moved to Ecuador in 2007, where he set up a nonprofit rainforest conservation foundation. 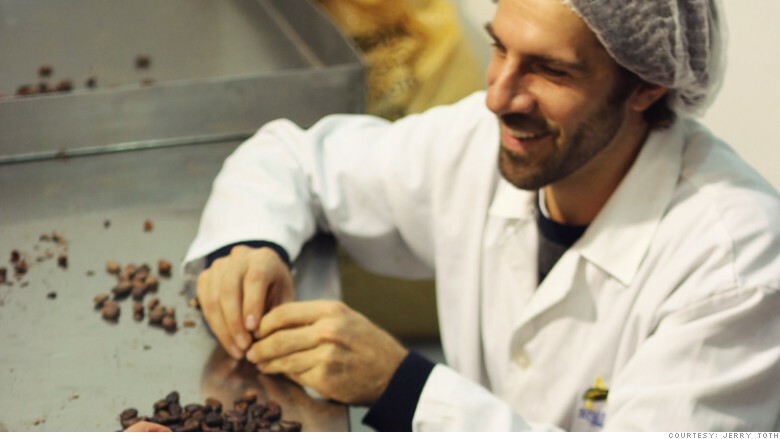 The work exposed him to the rare and unique cacao found in Ecuador and gave him the idea to make high-end chocolate from it. He spent two years developing the idea and researching cacao and chocolate production, and then invested $250,000 to launch To'ak Chocolate in 2013. Jerry Toth roasting cacao seeds that are used for makingToa'ak chocolate bars. It's a laborious process to make the chocolate bars, which primarily sell online and in a handful of fine wine stores in the United States. "Every step is controlled by hand," Toth said. That includes harvesting rare cacao seeds from coastal Ecuador, fermenting the seeds, grinding them and turning them into liquid dark chocolate. Toth said it can take four to five months to make a few hundred bars. 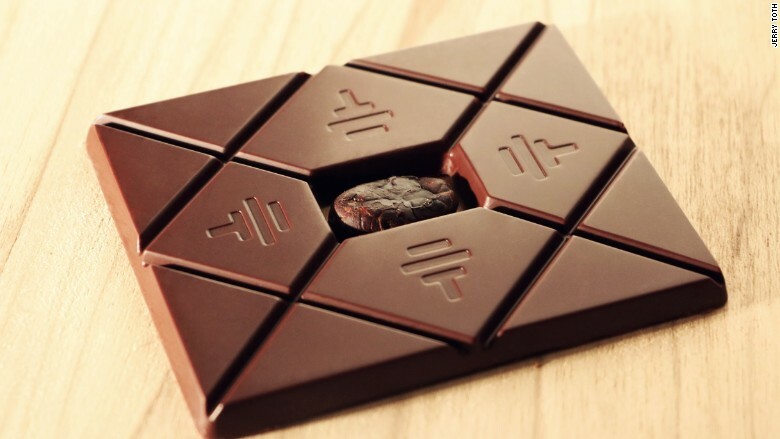 The bars are handmolded (Toth and his business partner Carl Schweizer also get in on the action) and feature a single cacao bean in the middle. "The bean is an ultimate reminder to consumers that the chocolate bar started as a cacao bean that was harvested by hand from a tree," said Toth. Each bar is then packaged in a handmade box from the same wood used to ferment the seed. The number of each bar is engraved on the back of the box, which also includes a wooden tong. "Our fingers have their own smell and natural oils," said Toth. "We don't want anything sullying or altering the smell and taste of the chocolate before you eat it." Toth, who said he's not profitable yet, wants to make 1,500 bars this year and 10,000 a year by 2018. The slow ramp up is deliberate. "We want To'ak chocolate to be an aspirational luxury," he said. "To'ak chocolate is not for trick-or-treats or for late-night cravings. It's meant to be savored, much like fine wine."